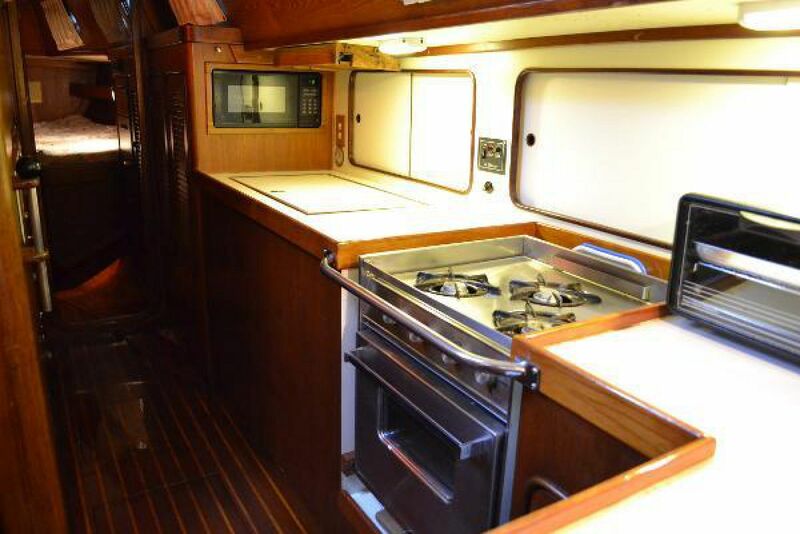 The Gulfstar 50 design has proven to be a stout, practical cruising yacht. 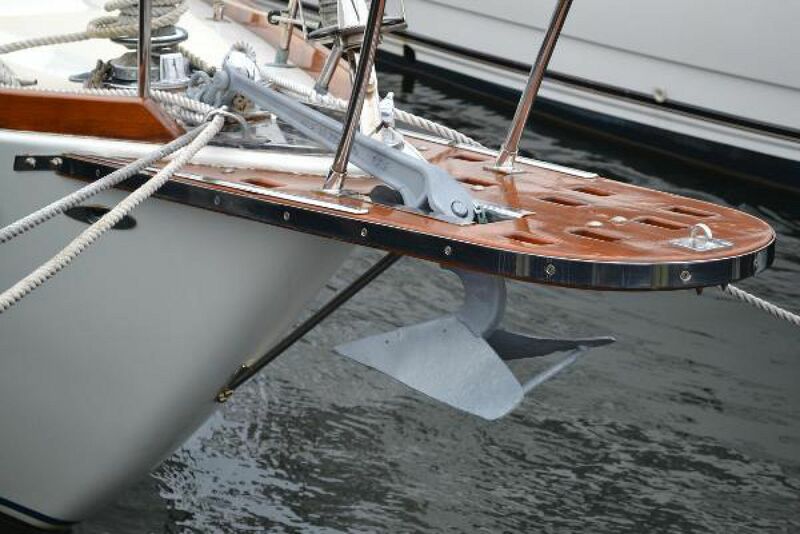 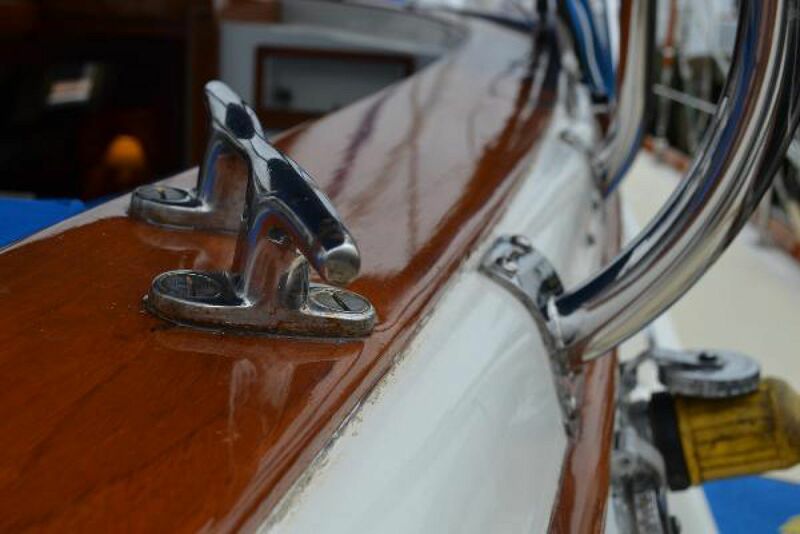 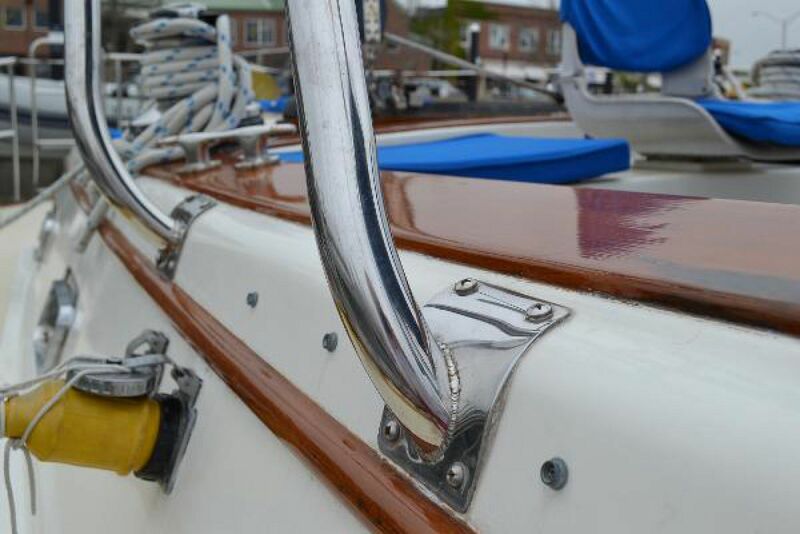 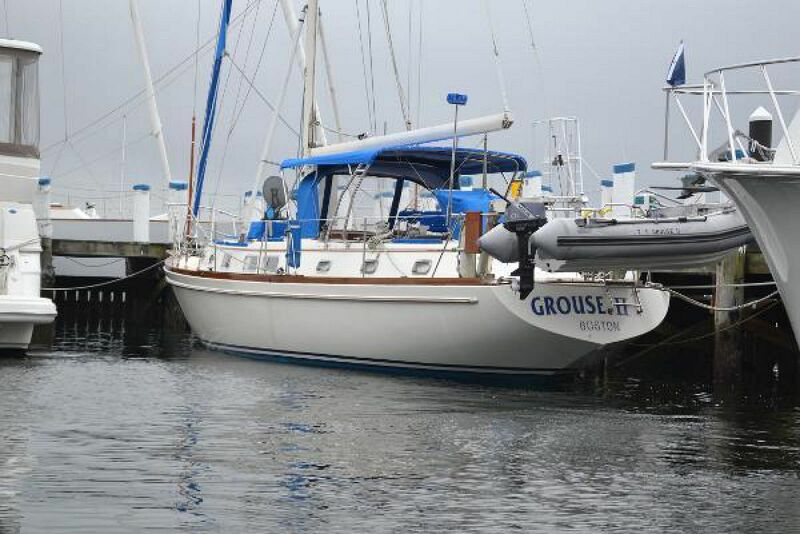 Grouse's classic overhangs and styling will turn heads in any harbor, while her sloop rig allows her sailplan to be easily handled by a crew of two. 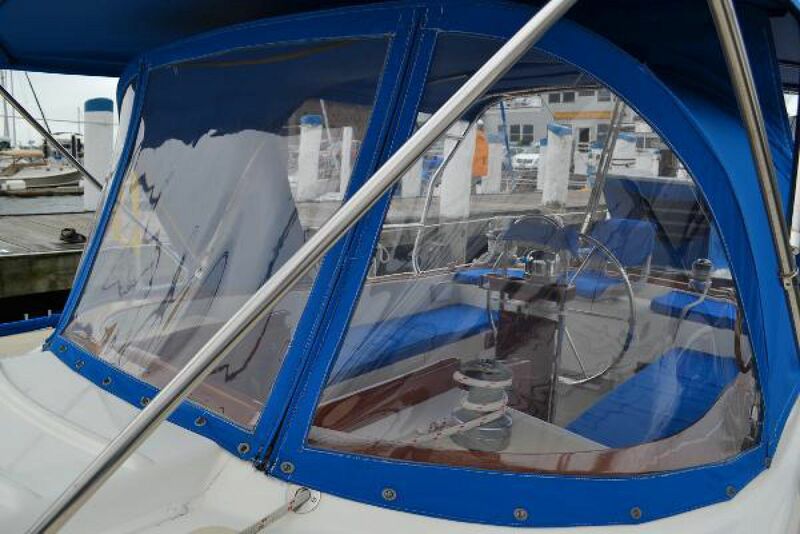 Her protected center cockpit provides shelter in rough water and a spacious location to relax with guests in a quiet anchorage. 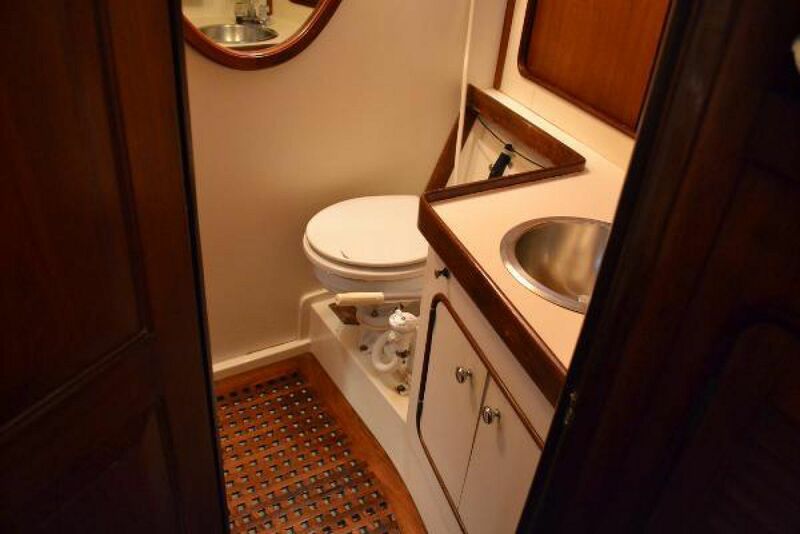 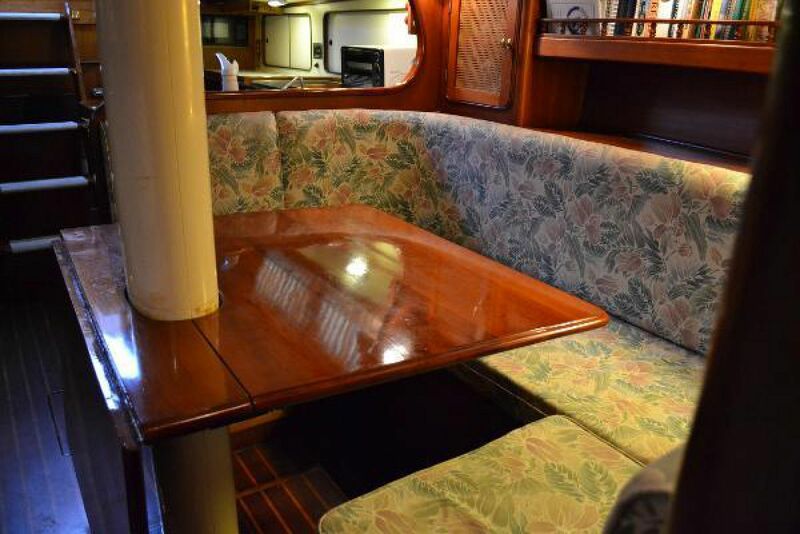 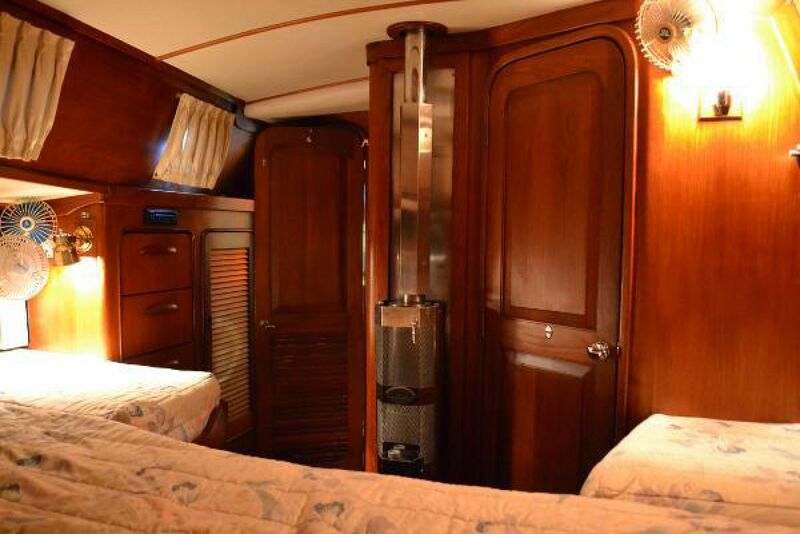 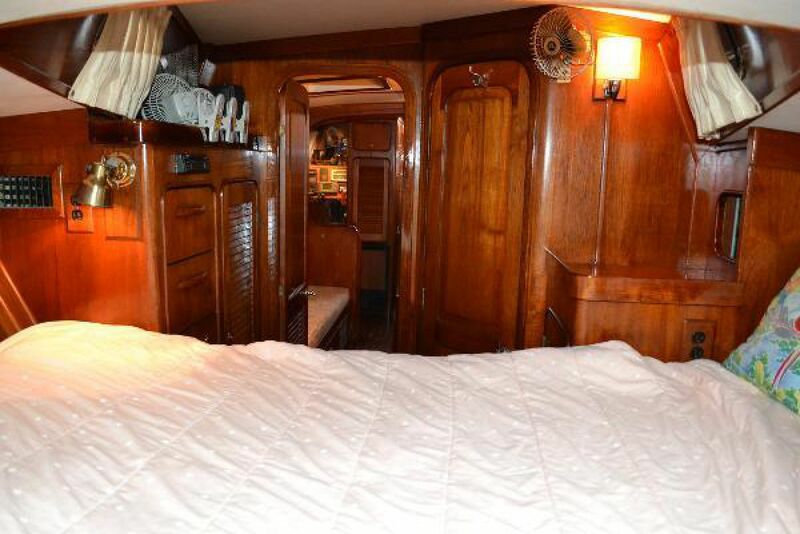 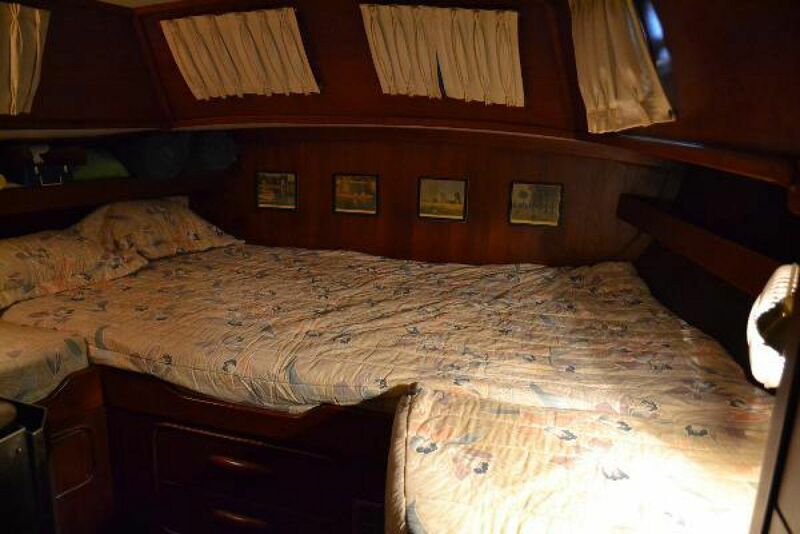 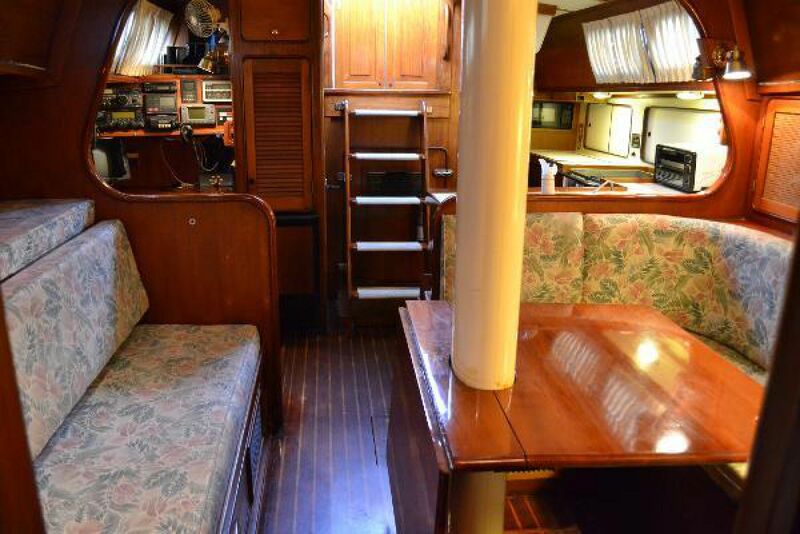 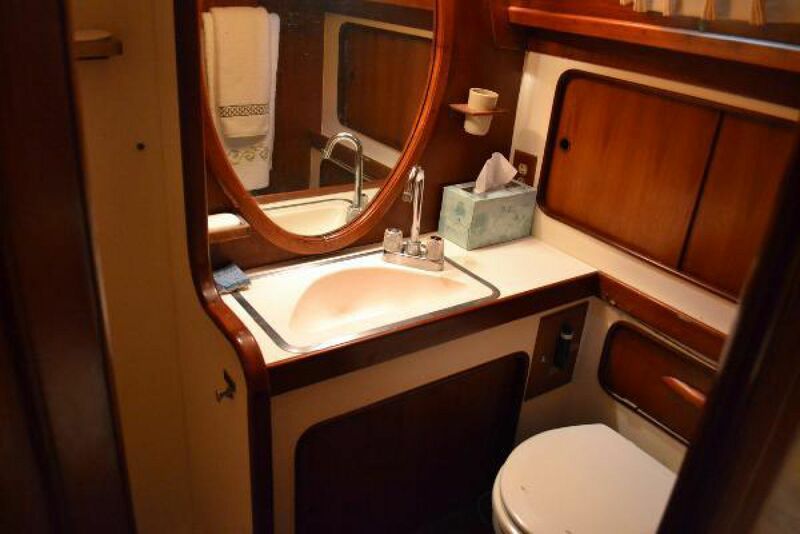 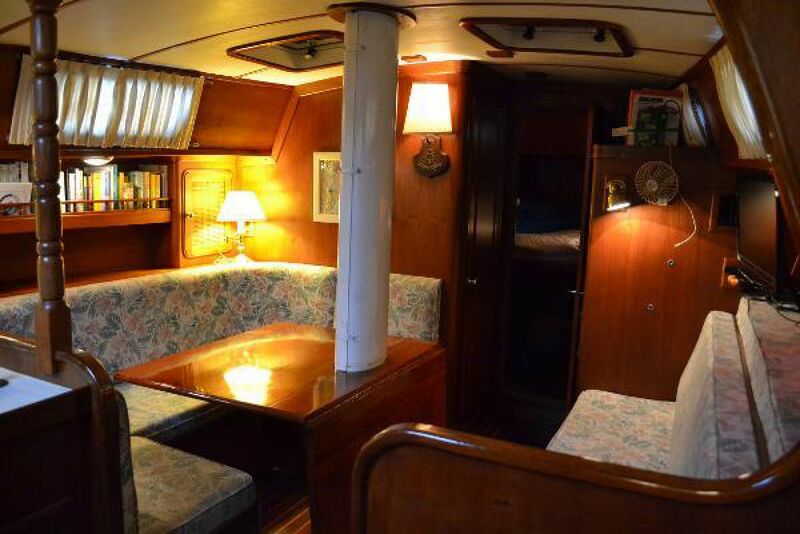 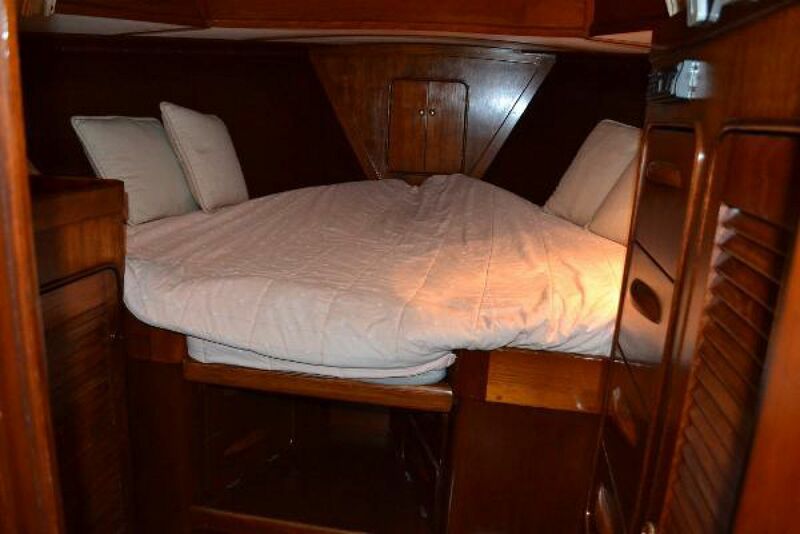 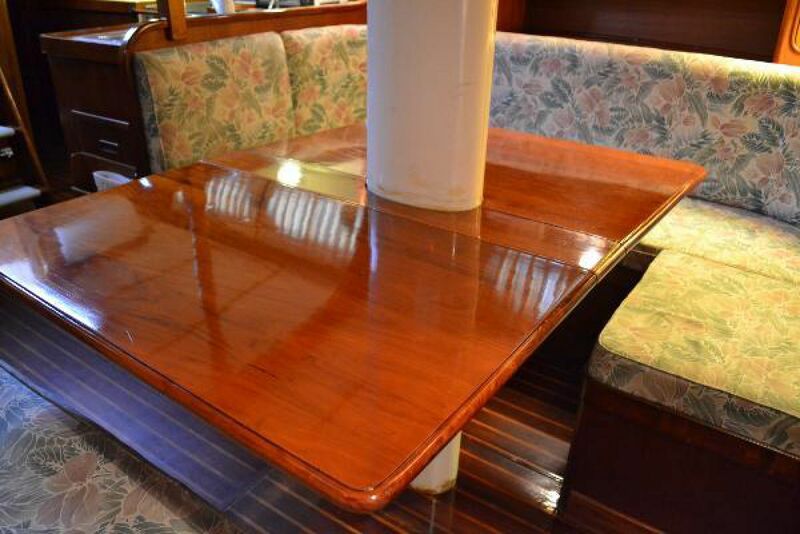 Below deck, her spacious two cabin layout will comfortably accommodate six for extended cruising, with arrangements for additional sea berths in the main salon. 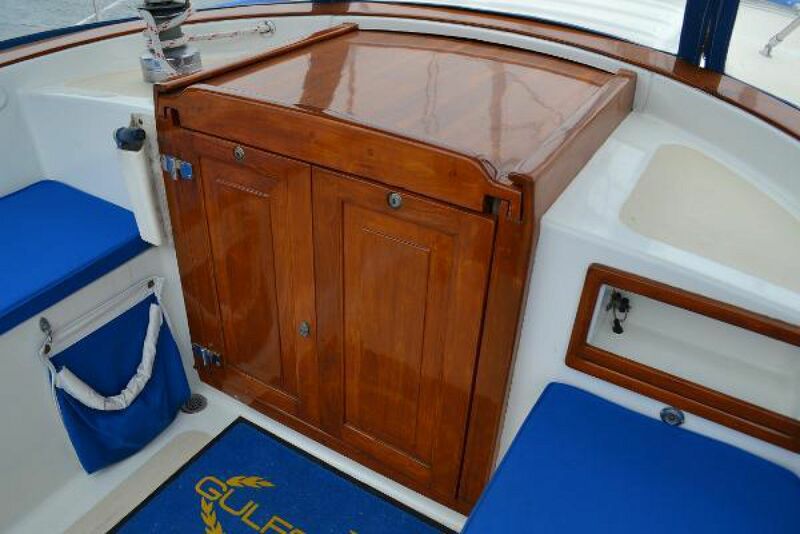 Solid teak is used liberally throughout, with finely finished storage spaces and lockers with louvered doors. 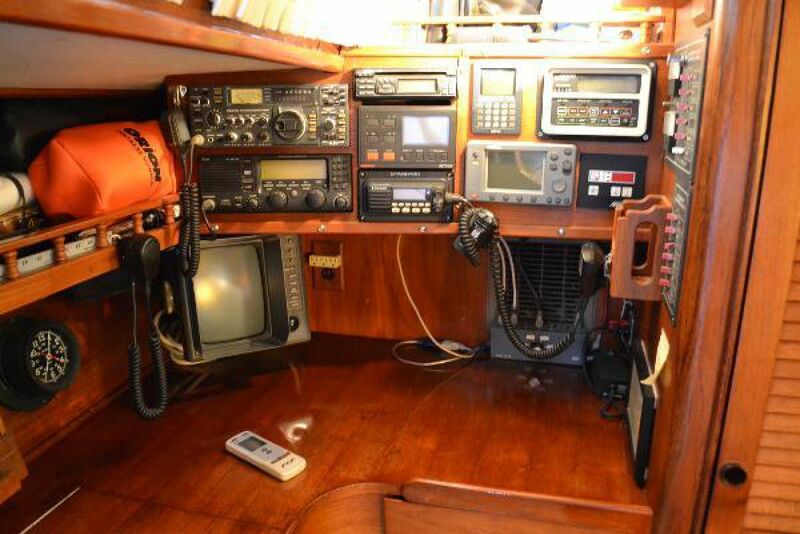 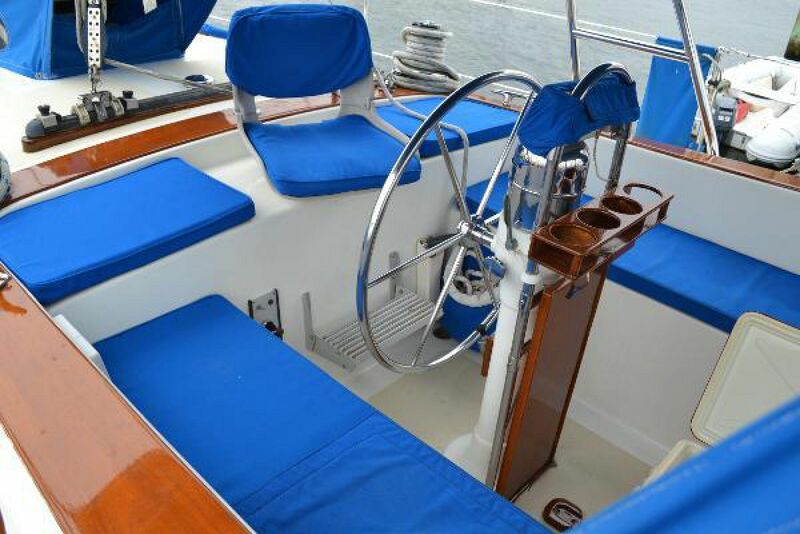 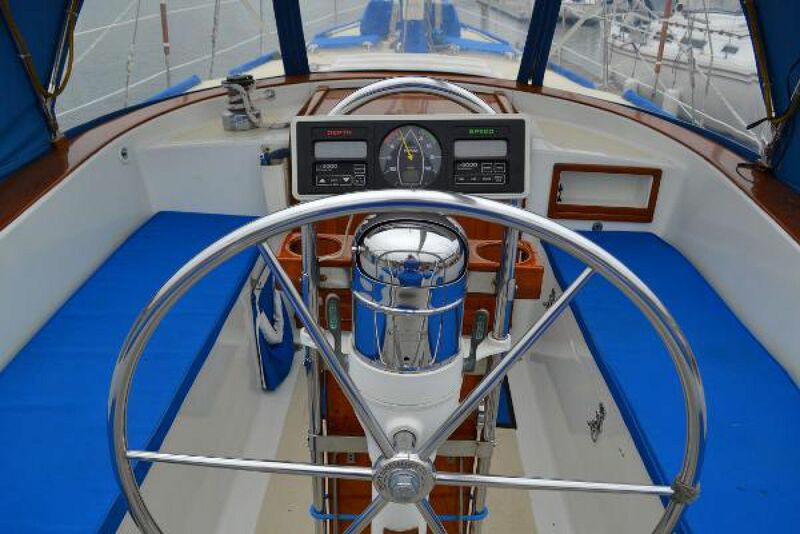 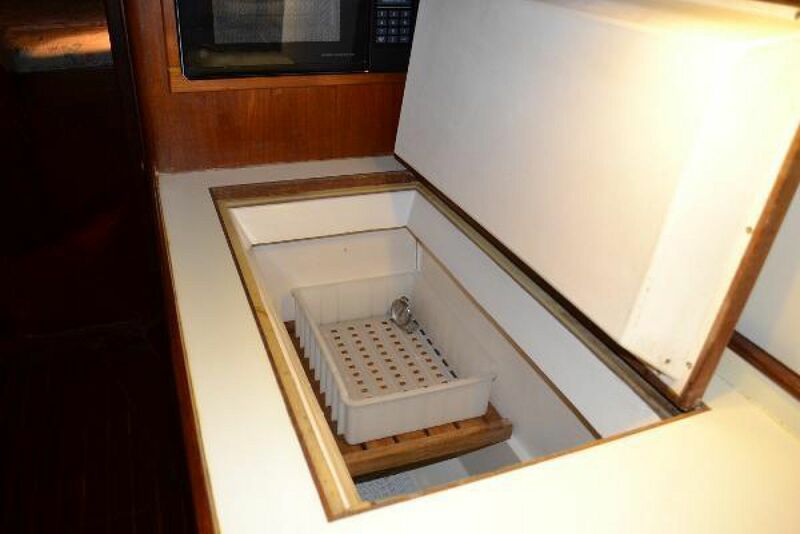 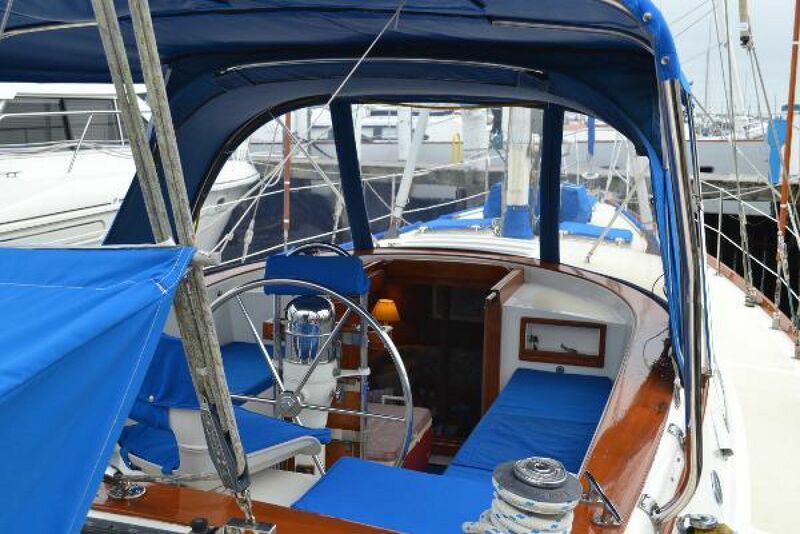 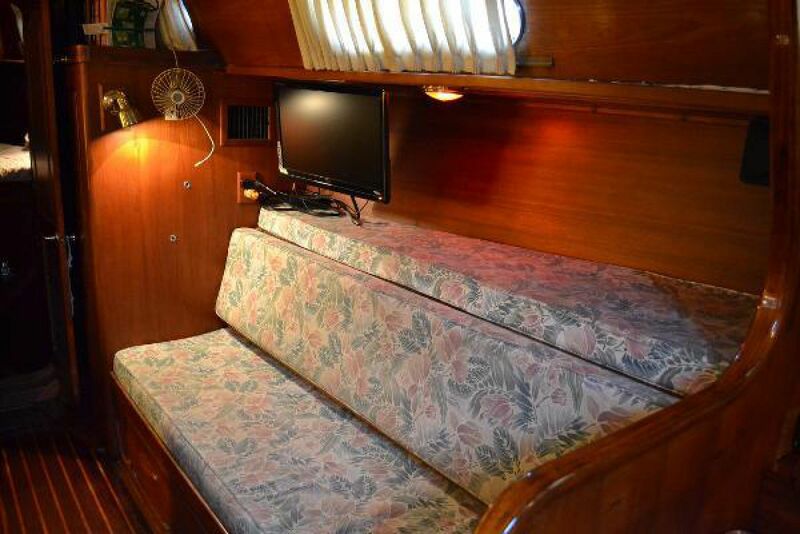 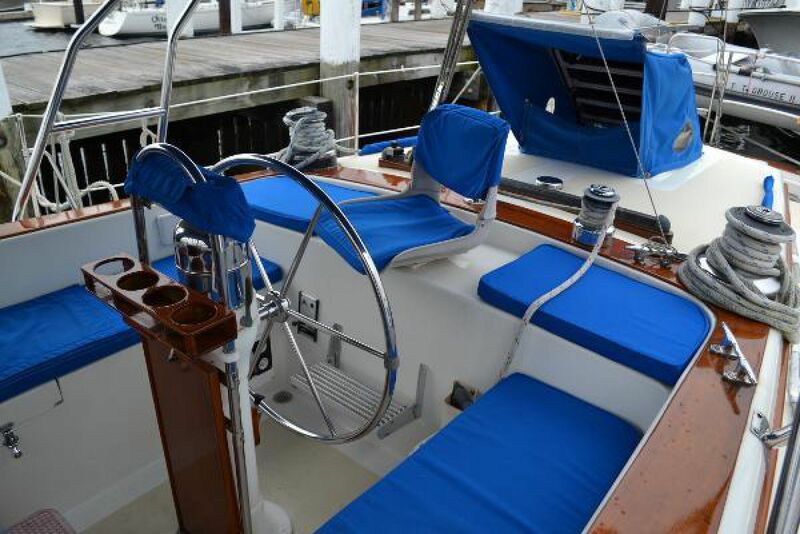 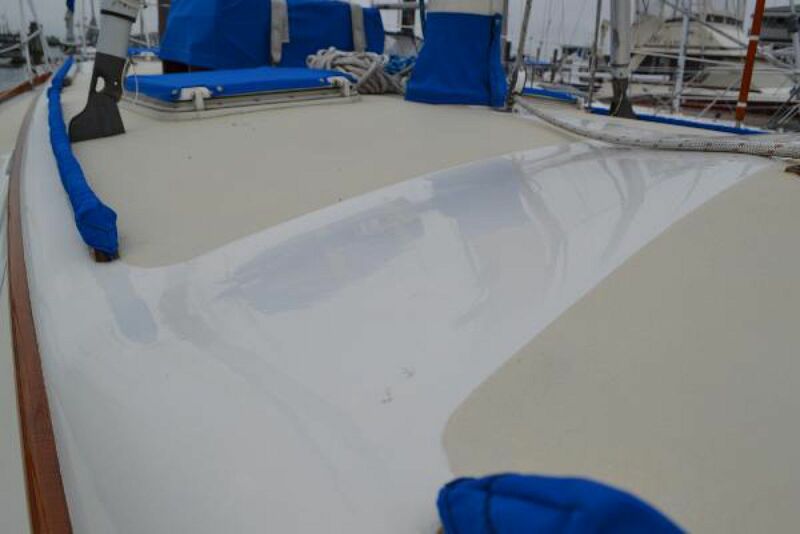 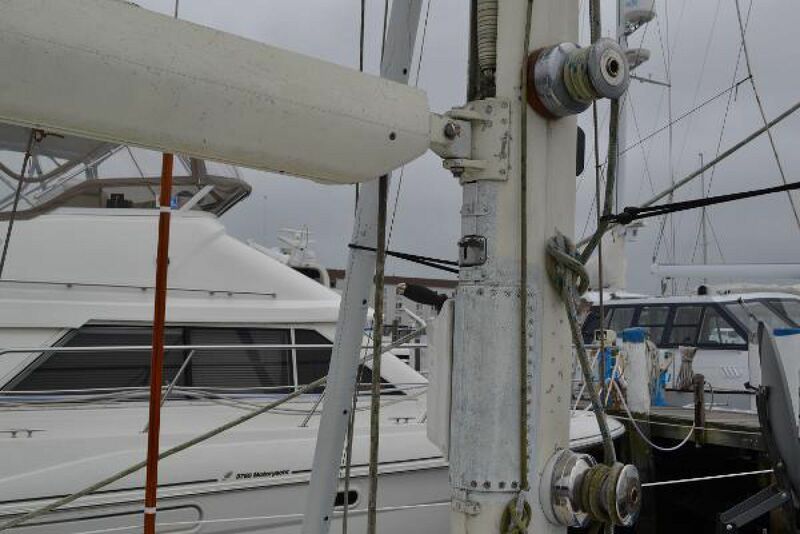 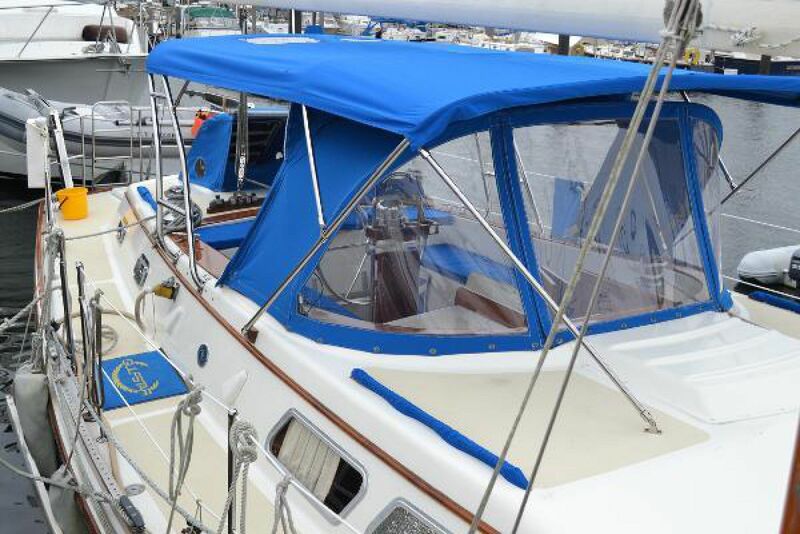 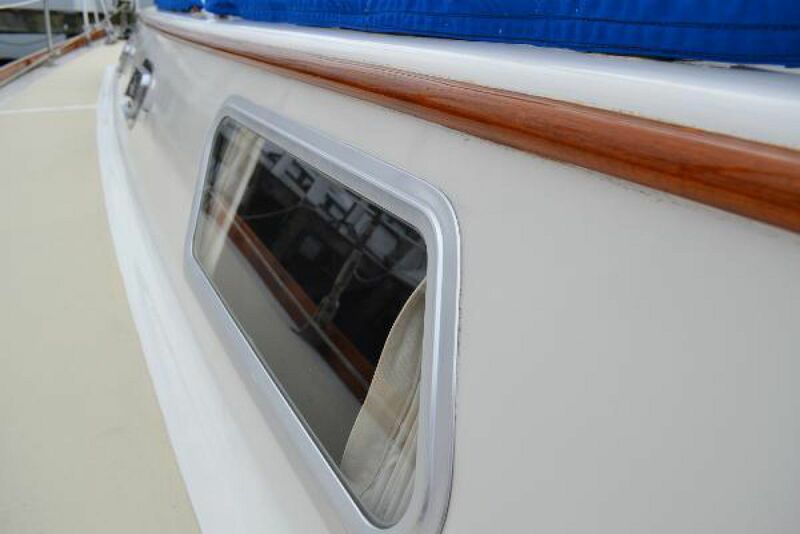 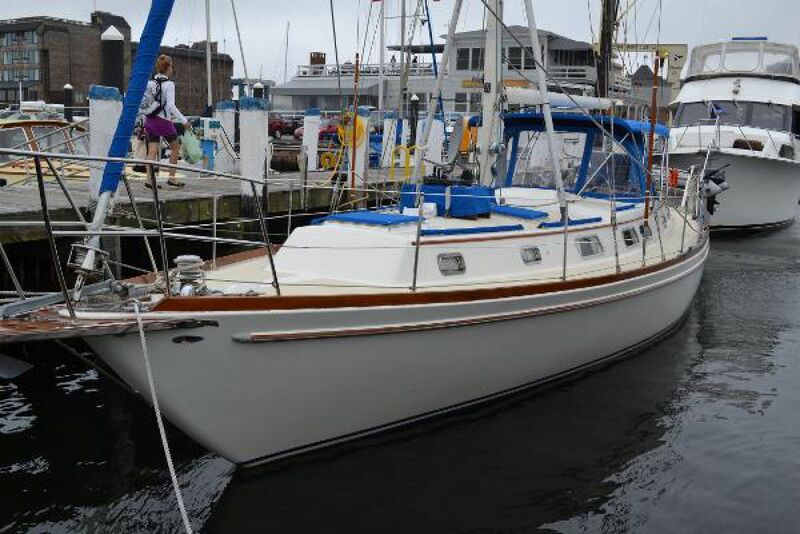 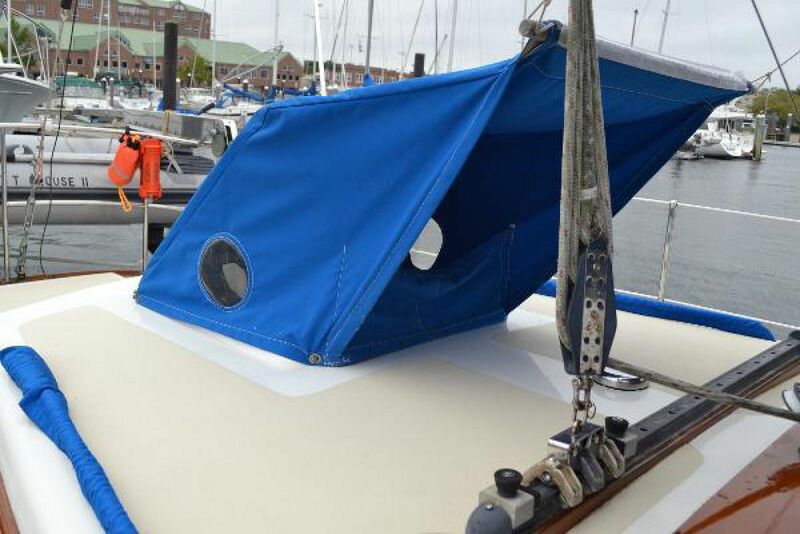 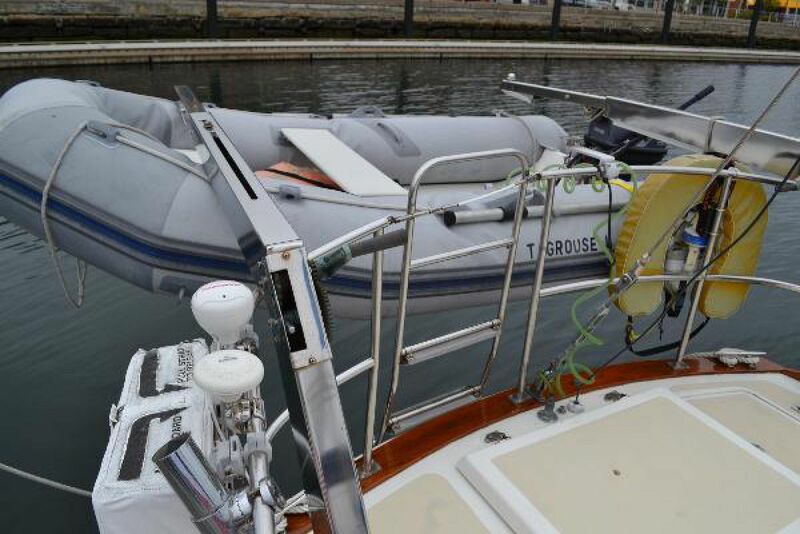 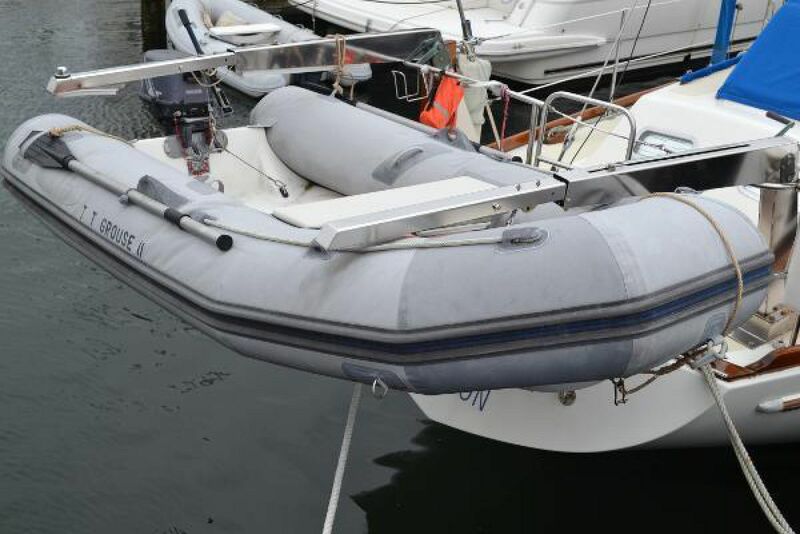 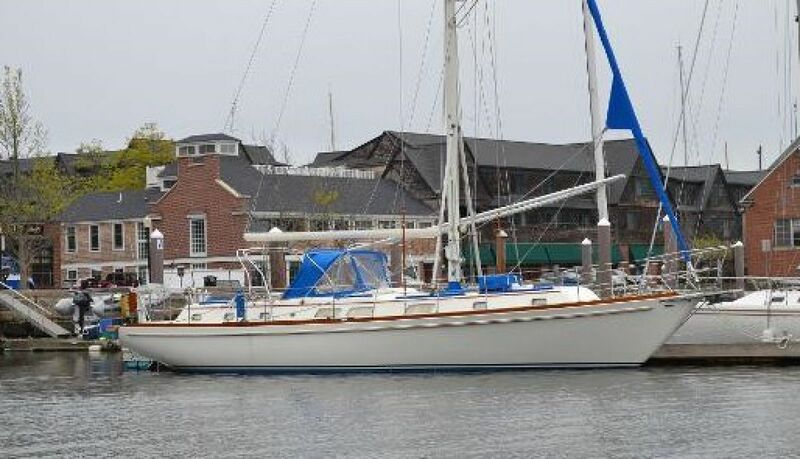 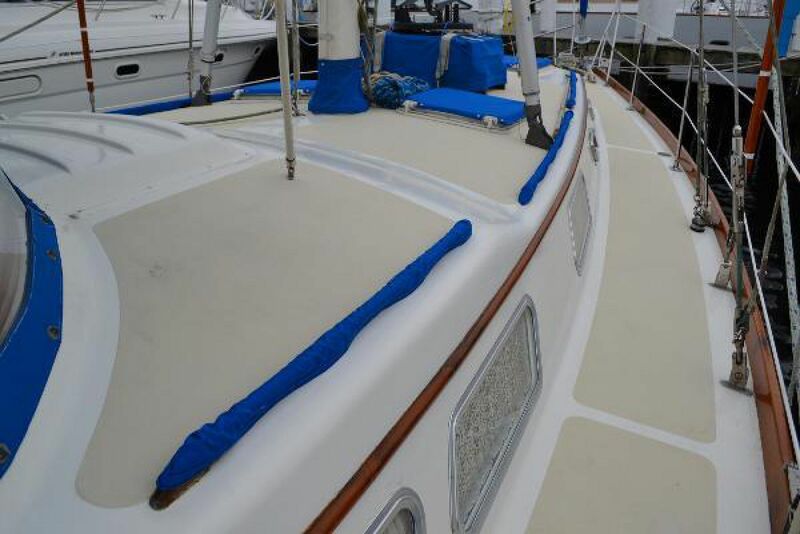 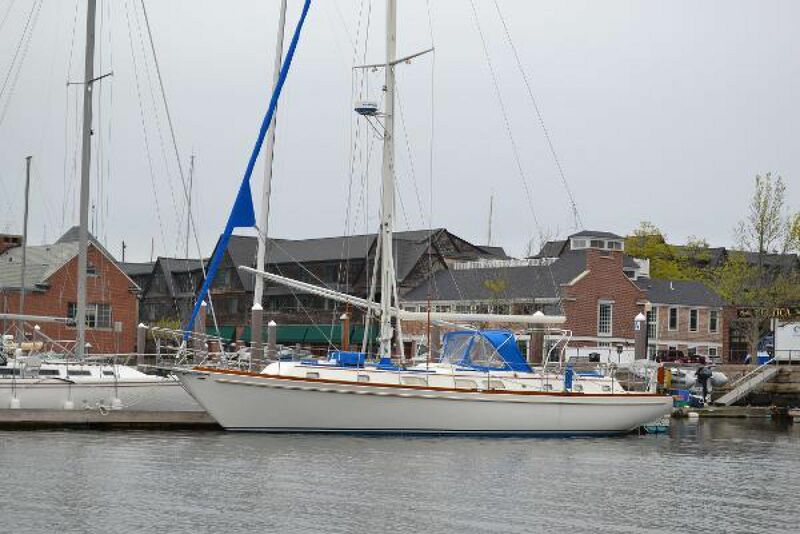 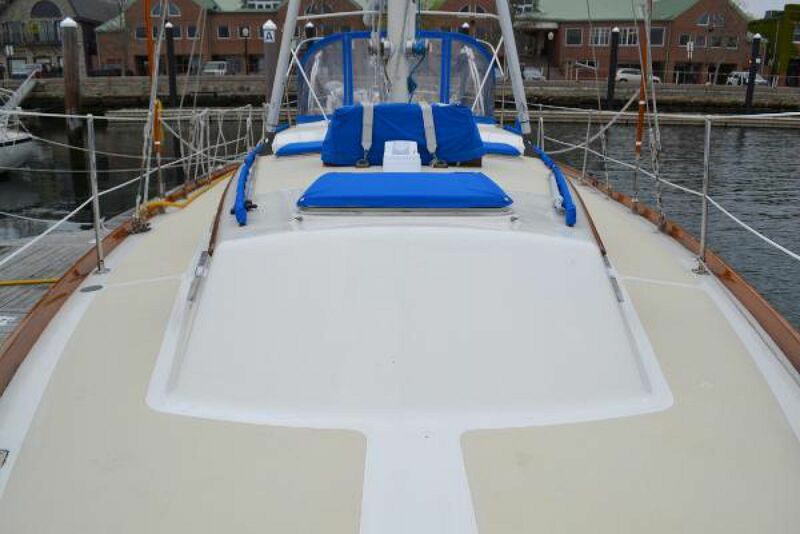 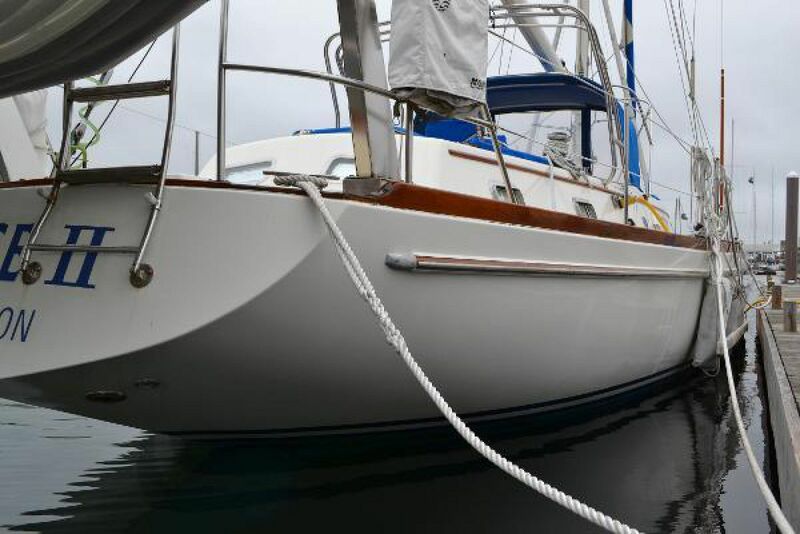 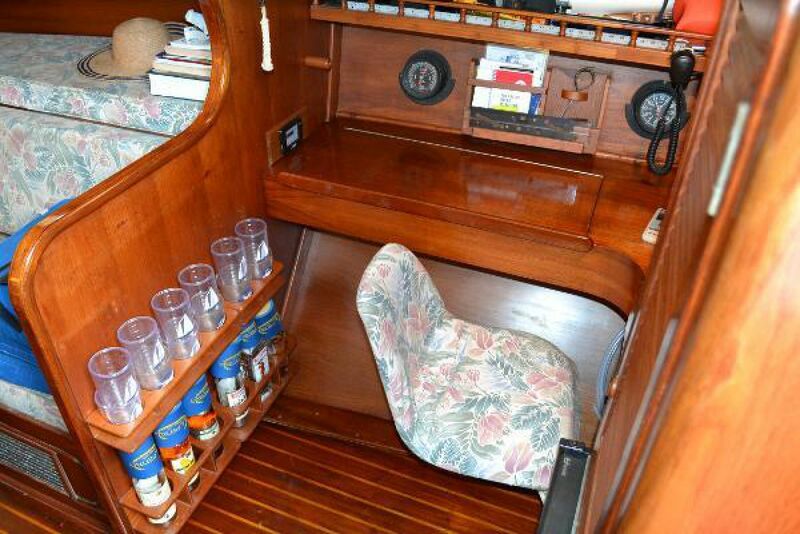 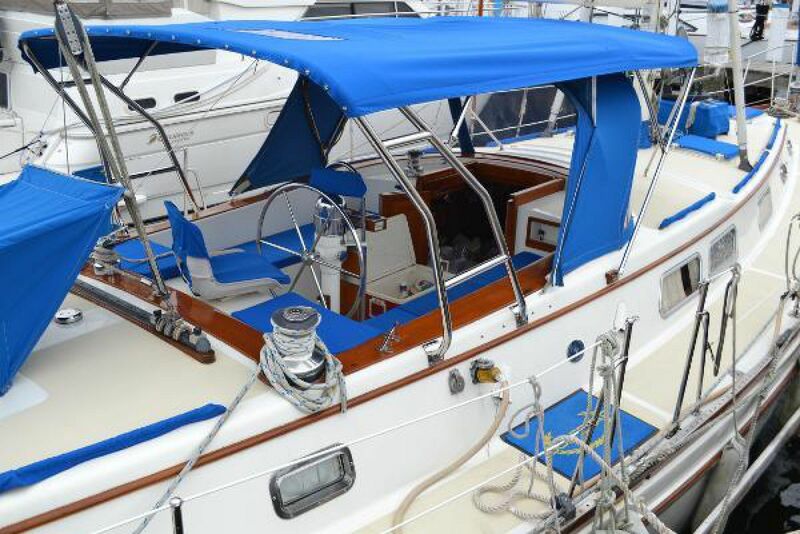 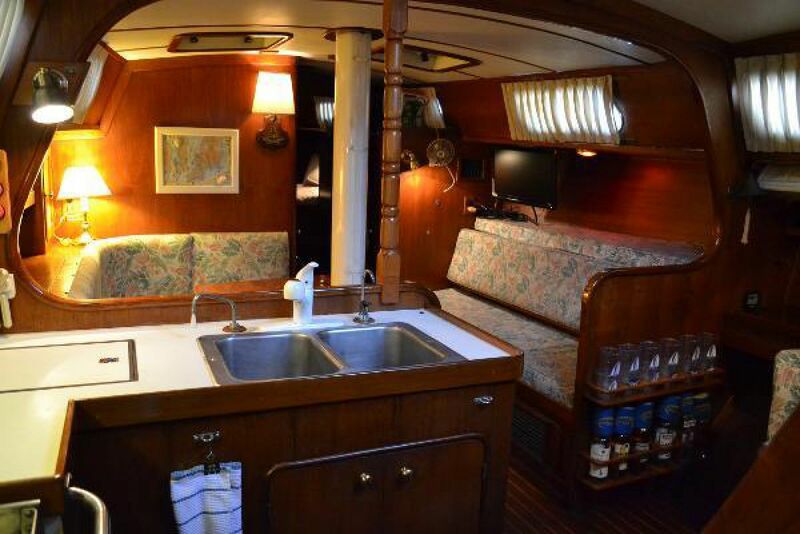 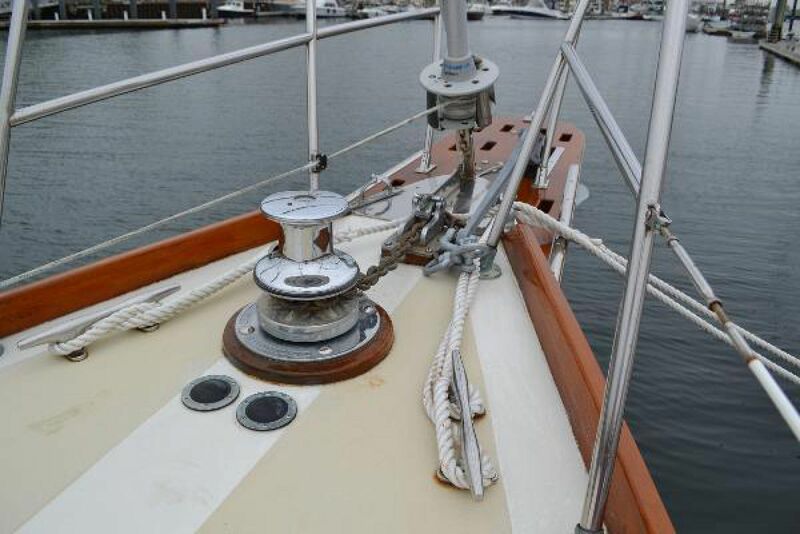 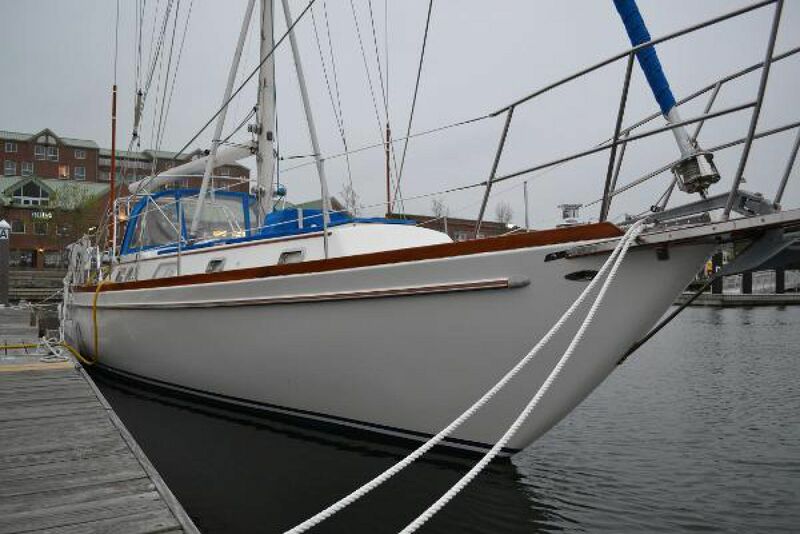 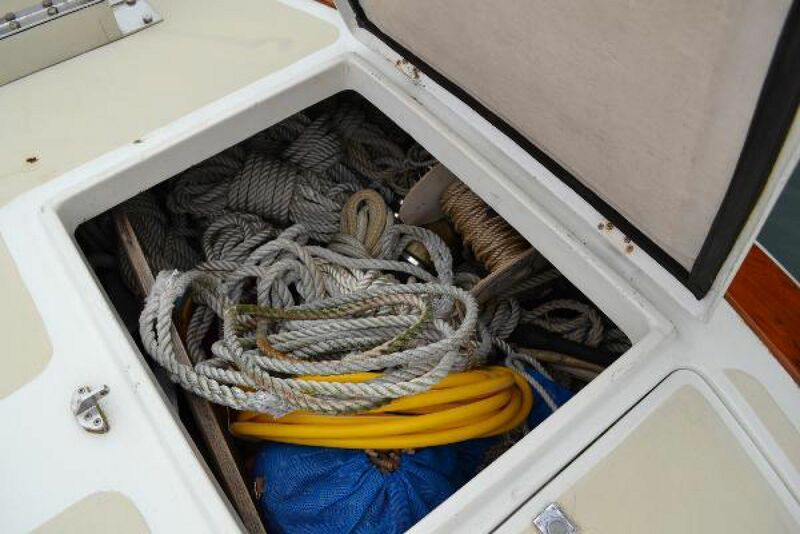 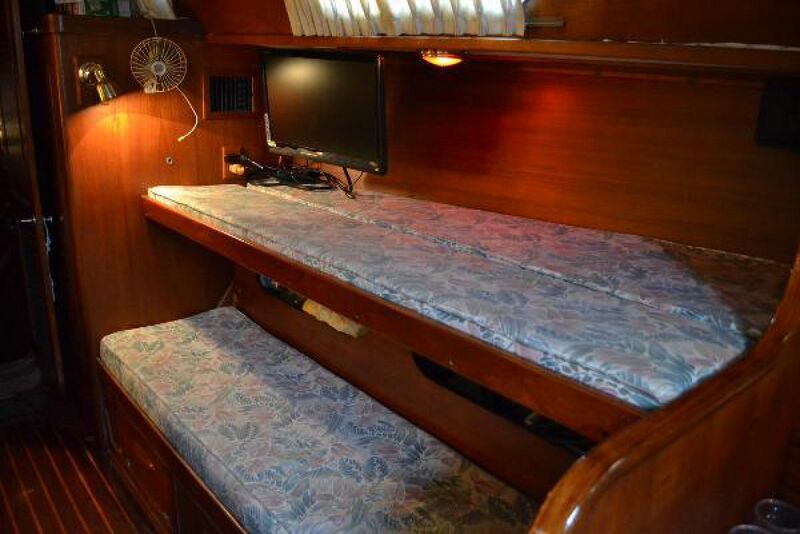 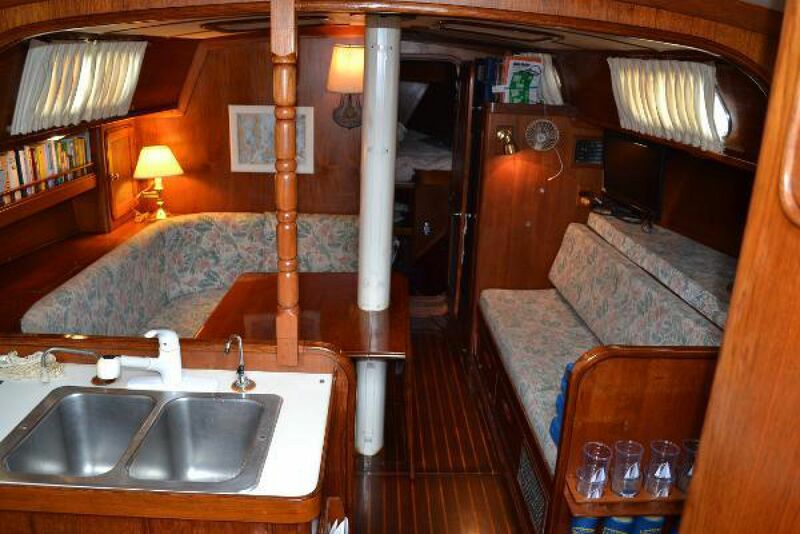 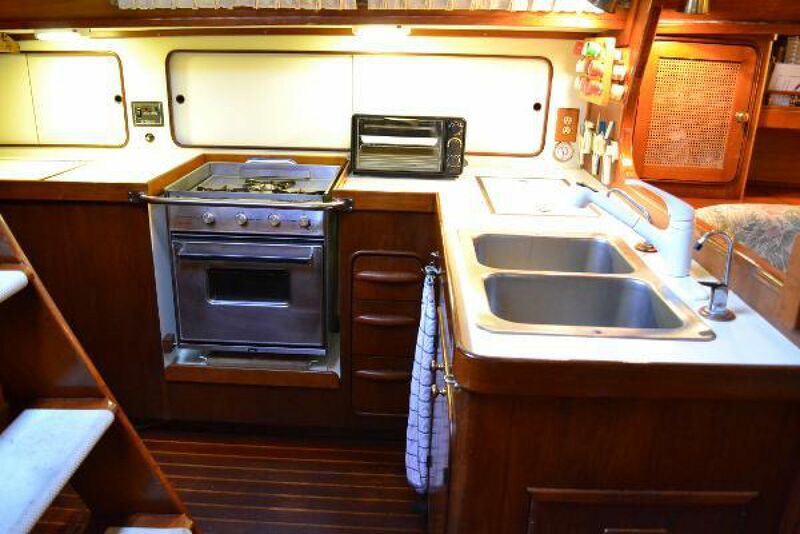 An excellent liveaboard, coastal or blue water cruiser. 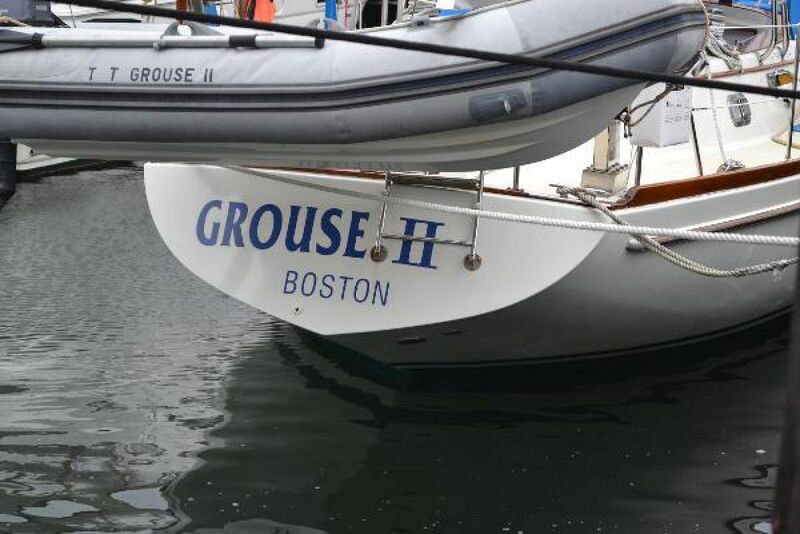 Grouse has several stages of water purification. 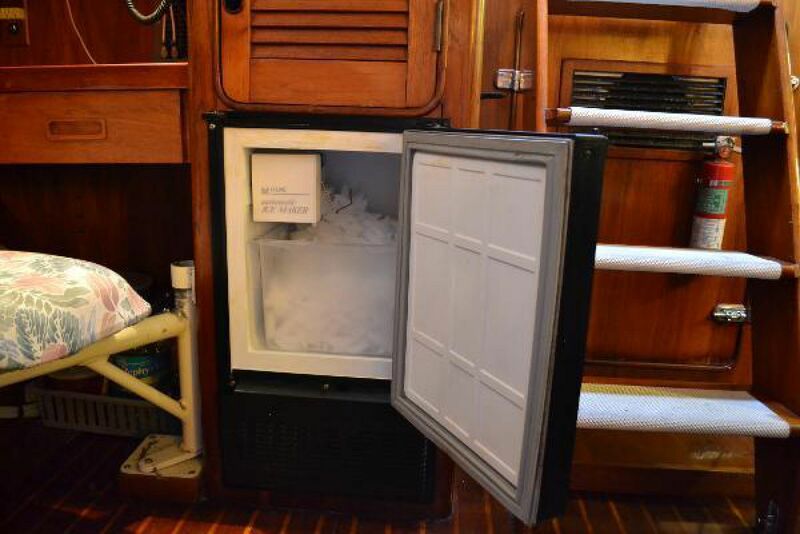 First it passes through a 'whole house' charcol filter after which water is again filtered for ice maker. 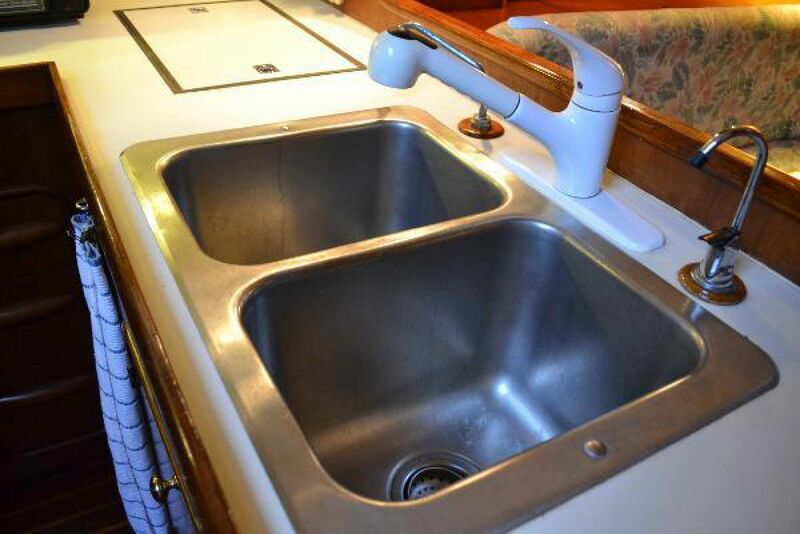 At galley sink there is a separate spigot fed by additional two stage filter under sink. 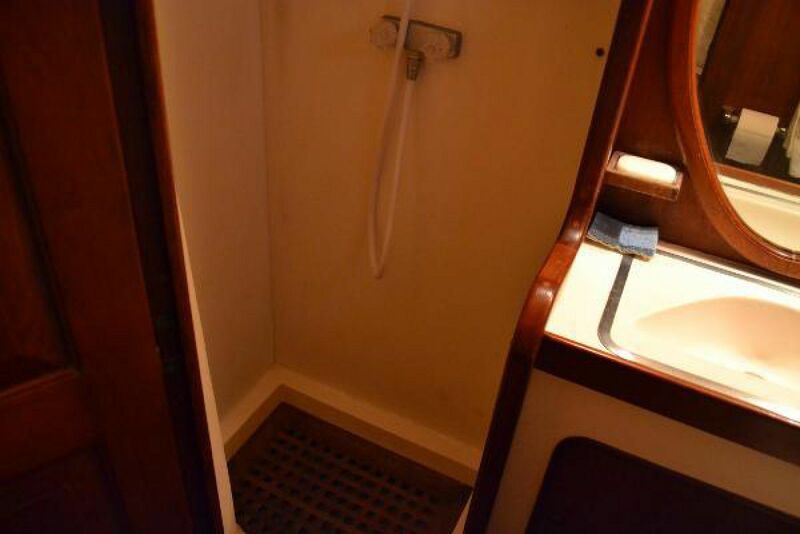 Water is additionally filtered prior to entering tank with in-line filter to be used on hose.